Jimmy Choo unveils a new fragrance for men that smoulders with masculinity, sophistication and an intensity thats truly irresistible.This rich and sensual fragrance features Fougere Oriental Woody notes combinining the elegance of a spicy freshness with the masculinity of a leathery amber base. The bottle is inspired by the masculine functionality of an antique hip flask. It is dark and sleek, combining black translucent lacquer with masculine gunmetal. 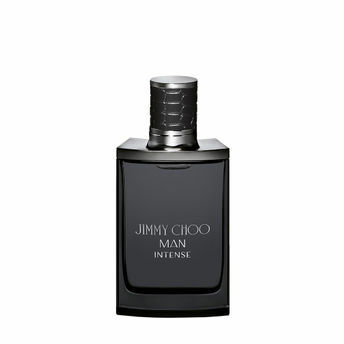 The cap features distinctive Jimmy Choo detailing with embossed crocodile leather to add a touch of luxury and a nod to rock and roll rebellion.Jimmy Choo Man Intense offers a richer, more sensual version of Jimmy Choo Man. Explore the entire range of Perfumes (EDT & EDP) available on Nykaa. Shop more Jimmy Choo products here.You can browse through the complete world of Jimmy Choo Perfumes (EDT & EDP) .Alternatively, you can also find many more products from the Jimmy Choo Man Intense Eau De Toilette range.